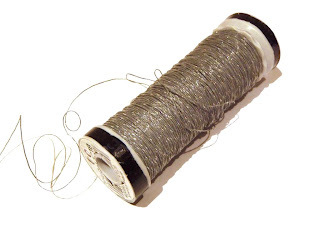 When I spied this thread at Open Drawer, I knew resistance was useless. 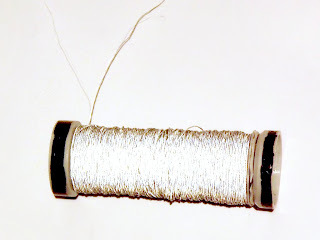 This thread appears matt grey in ordinary diffuse light but flashes a luminous silver when viewed from the same direction as a light source. It is spectacular in low light or at night. I wasn't sure why I needed it. Or what I would use it for. All I knew was: Must. Have. Shiny. Object. 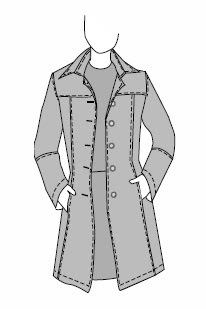 Sometime after the purchase of aforementioned thread, I remembered: I was about to make a coat (Jalie 2680 - Women's City Coat). And as you can see, this baby has a shedload of top-stitching. ... 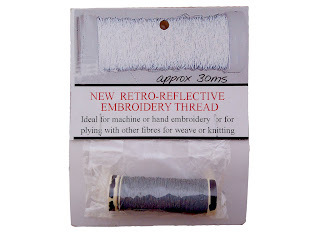 I am sure that top-stitched seams flashing a luminous silver when viewed from the same direction as a light source will be a great asset. Once I have finished the coat I will be able to go walking at night, secure in the knowledge that I will be visible from miles away. Look out dear ... what's that in the headlights? Why I do believe its a princess-seamed coat with wobbly top stitching. Excellent!! Perfect use for it! That's funny ....I am sure it will look perfect. I am always enamoured by the considerations given to one's safety whilst wearing handmade garments. An excellent purchase. Oh my goodness, you had me cracking up with that last line. I'm so glad I found your blog the other day! 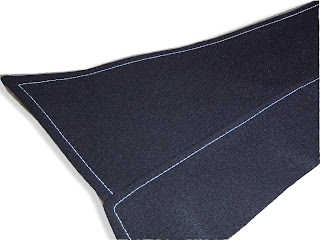 Safety top-stitching. This will catch on, I know it. I have glow in the dark (has to be charged with exposure to daylight, so could be a problem if coat lives in a cupboard) thread, but it's for blending with stranded cotton. Not nearly so interesting as yours. Noice! 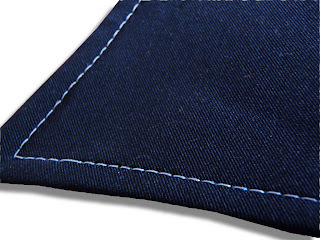 Your top stitching is perfect too! You should think of it as "safety" stitching. Imagine you're walking along an unlit road at night and round the corner a car comes quizzing along. There you are, outlined in all your glorious shimmer for the driver to see and avoid,and thus a nasty accident has been averted all due to fabulous shimmery stitching. Yep, safety stitching...thats what it is! We always knew you were a traffic stopper! I hope one night to see you out in this coat Leisl. Please let me know which evening social events you will be attending in the near future so I can pack my torch into my bag in order to get the full effect of your dazzling new coat!! Ooh, have to get me some of that! How I love your love of the bling. I might be able to spot you in your coat at night from Canberra??! !